Ozarks Community Hospital has transformed radiology equipment systemwide to better serve patients and offer increased services. OCH of Gravette in northwest Arkansas, OCH of Springfield and OCH Christian County Clinic in southwest Missouri have added new updated equipment to increase options for physicians, better evaluate patient conditions and provide further health direction. As a health system, OCH continues to provide the same quality care but with greater capabilities. The OCH mission is to provide a high quality of care to everyone, regardless of insurance coverage. In fact, more than 80% of patients have governmental insurance or are self-pay. The ability to provide high-quality and technologically advanced radiology services will help OCH better serve its patient population and the surrounding communities. OCH of Springfield and the OCH Christian County Clinic also received upgrades to their equipment. The OCH of Springfield hospital received a new SOMATOM Perspective 64-Slice Scanner and ACUSON S2000 ultrasound. With these updates, OCH of Springfield hospital now has radiology equipment directly comparable to nearby hospitals. The OCH Christian County Clinic in Nixa upgraded its CT Scanner to a SOMATOM Emotion 16-Slice CT Scanner. Coronary Computed Tomography Angiography (CCTA): A heart imaging test that helps determine if plaque buildup has narrowed a patient’s arteries. Low Dose Lung Screening: This screening meets CMS guidelines for a lung cancer screening. These are recommended annually for high risk populations/patients and have shown to contribute to a 20% reduction in mortality. Cardiac Calcium Scoring: This is a quick, painless, noninvasive procedure to accurately determine the degree and severity of hard plaque within the coronary arteries. These are recommended for anyone at risk of coronary artery disease, including healthy males over the age of 40 and females over the age of 45. 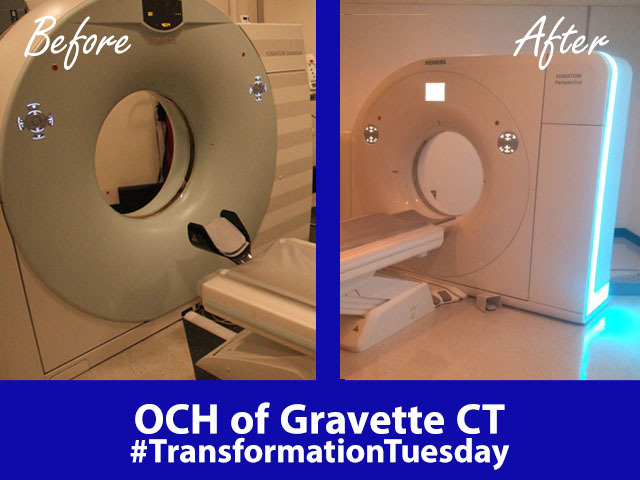 The new equipment makes OCH of Gravette the only all-digital radiology department in its region. OCH of Gravette received massive upgrades and updates including a new SOMATOM Perspective 64-slice CT Scanner, a Siremobil Combact L (C-ARM), a Multix Select and Multix Fusion x-ray machines, a portable Mobilett Mira x-ray machine, and ACUSON S2000 and ACUSON Freestyle Ultrasound System. QCT Bone Density Test: This is a CT scan with special software used to diagnose or monitor low bone mass. Bone density testing is recommended for anyone at risk of or with evidence of osteoporosis. In January 2015, the Association for Medical Imaging Management (AHRA) announced that OCH of Gravette was one of six recipients of the AHRA and Toshiba Putting Patients First grant to improve the safety, understanding and comfort of pediatric radiology procedures. This KidSTRONG pediatric safety program at OCH of Gravette is a coinciding compliment to the comprehensive technology upgrades. The radiology department has been completely renovated due to the state of the art radiology equipment, with an emphasis on pediatric-friendly facilities and a comforting experience for families. “The KidSTRONG pediatric safety and education component paired with the complete overhaul of our radiology department in Gravette increases community resources,” says Ronda Kruetzer, radiology manager at the hospital. “These upgrades have enabled OCH to provide safe, quality and worry-free care for the region’s residents right in their hometown,” says Ronda. OCH is joining the state-wide effort to help educate and enroll Arkansans in a quality and affordable health insurance before the February 15 deadline. PENTALTIES ARE EXPENSIVE: In 2015, penalties will be $325 per person, or 2% of your income (whichever is higher). Ouch! YOU MAY ALREADY BE COVERED AND NOT KNOW IT. You’re considered covered if you have Medicare, Medicaid, CHIP, any job-based plan, any plan you bought yourself, COBRA, retiree coverage, TRICARE, VA health coverage, or some other kinds of health coverage. TIME IS RUNNING OUT! The Marketplace Open Enrollment deadline for 2015 coverage is February 15, 2015, unless you qualify for an exemption or special enrollment period. Have questions, or need assistance enrolling? OCH of Gravette has local, trained enrollment staff (CAC’s) on hand in Gravette, Ark. to address questions and assist with enrollment before the Feb. 15 deadline. CALL OUR GRAVETTE, AR REPRESENTATIVE FOR HELP! Call Melissa at 479-344-6724 or email ARmarketplaceinfo@ochonline.com to ask questions, set up an appointment or sign up! Ozarks Community Hospital is located at 1101 S. Jackson Street SW in Gravette, Ark. Cholesterol is often negatively portrayed in eyes of the public, but it’s not all bad! Everyone needs cholesterol to live; and it is both good and necessary, in the right quantity, much like everything else in our bodies. Cholesterol is important for brain and nerve function and is the building block of all our hormones, such as testosterone and estrogen. However, cholesterol does have a downside. Because it is a waxy substance, it can build up in blood vessels and cause lots of problems with heart, brain and arteries. This can lead to high blood pressure and even erectile dysfunction. Although healthcare providers test for cholesterol levels if patients have high blood pressure or issues with their heart, it is recommended that individuals start testing cholesterol levels between the ages of 25 to 35 years (for men) and ages 35 to 45 years (for females). Total cholesterol should be below 200. Triglycerides should be less than 150. Low density lipids (LDL) are known as “lousy” lipids and should be low. High density lipids (HDL) are “happy” lipids and are beneficial when they are up. Note: HDL’s help clean up when there is excess cholesterol in the blood, which is why the ratio of HDL to LDL is a predictor of good health. Testing is recommended if an individual has a family member with high cholesterol or heart problems. Also, men and women who smoke and/or have diabetes have an increased likelihood of having high lipids and should be routinely tested. Each individual is different and may require additional testing every 3, 5 or 10 years. Although individuals may not be able to eat their way to a perfect cholesterol score; there are select cholesterol lowering foods that can help! These include walnuts and almonds (raw and unsalted), strawberries, apples, bananas, grapefruit, carrots, dried beans, garlic, cold-water fish, salmon and olive oil. Foods to keep to a minimum include: coffee, meats, dairy, fried foods and fast-food. Exercise also helps keep the body and cholesterol levels under control. As always, talk to your individual healthcare provider about risk factors and testing. J.D. 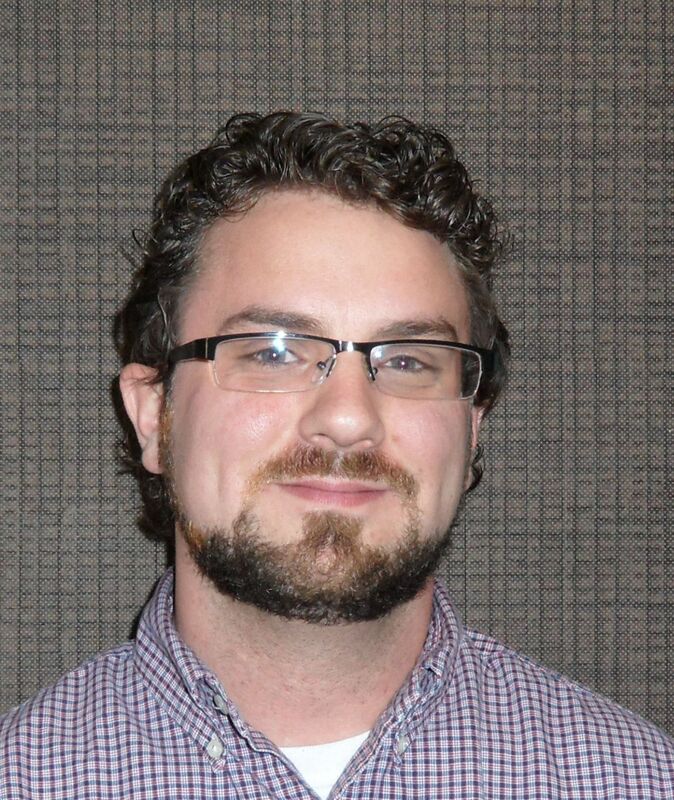 Eiman, PA-C is a physician assistant at the OCH of Gravette Clinic. J.D. sees patients of all ages for primary care needs and is also certified to perform DOT physicals. She received her education and training from Texas A&M University and Harding University and is currently a member of the American Academy of Physician Assistants, Arkansas Association of Physician Assistants, Christian Medical and Dental Association/Fellowship of Christian Physician Assistants and the California Association of Physician Assistants. To contact J.D. at the clinic, call (479) 787-5221.